Ivorian hitmaker, Ramses is back with a spanking new joint for the year. 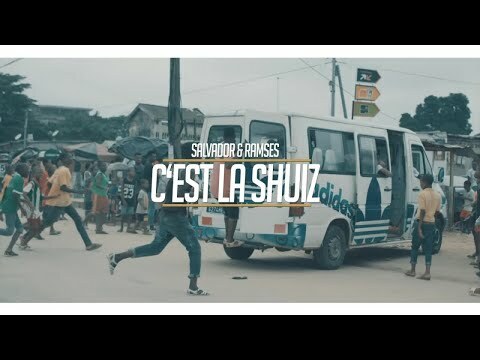 He isn’t bursting our speakers alone though – he teams up with usual suspect and collaborator, Salvador to commission this spanking tune named “La Shuiz”. Having released dope hits like “Live In Larrach”, “Ya Femme Epuisa Ya Femme” featuring Salvador and Nur, and “C’est Montour De Danser” ft. Salvador; the Star Factory music act isn’t about to rest on his oars. And this time, he comes back with a groovy song that will get you dancing even before you know it. If you’ve ever listened to Ramses’ hits, then ‘La Shuiz” wouldn’t be surprising. The Ivorian star has a knack and penchant for releasing dope joints that would always get his fans in a groovy mood. And do we need to add that his beats are as crazy as crazy can be. Ramses is just so talented! Plus we just can’t help but admire the perfect chemistry between Ramses and Salvador. They fit like two peas in a pod and know just the right amount of heat to add to their collaborations. Wondering if “La Shuiz’ would be on constant replay? Absolutely! Click here to download Ramses’ latest offering, and be sure to relay your thoughts and opinions in the comments section below.